Last Sunday (12/4) all the JNT skiers (except Sam M who was in SWEDEN) along with the coaches (including Natalie!) met at River Rd in Orford for the weekly OD. 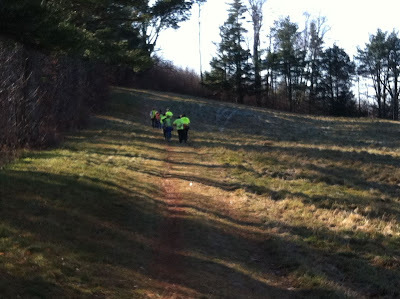 We classic rollerskied south on River Rd on flat and rolling pavement at an easy L1 pace while working in some specific strength along the way. The J1 boys (George, Sam R, Noah, Spencer) and Natalie turned left onto North Thetford Rd first and headed toward the intersection at Rt 10 near Post Pond. Once we got there we looped back to meet the J1 girls and J2s to end the rollerski together at Post Pond. While Sarah L and Emily rollerskied back the way we came, everybody else (expect for Liza and Alexi who had to go back to Scottie’s to get their running shoes – coach error!) 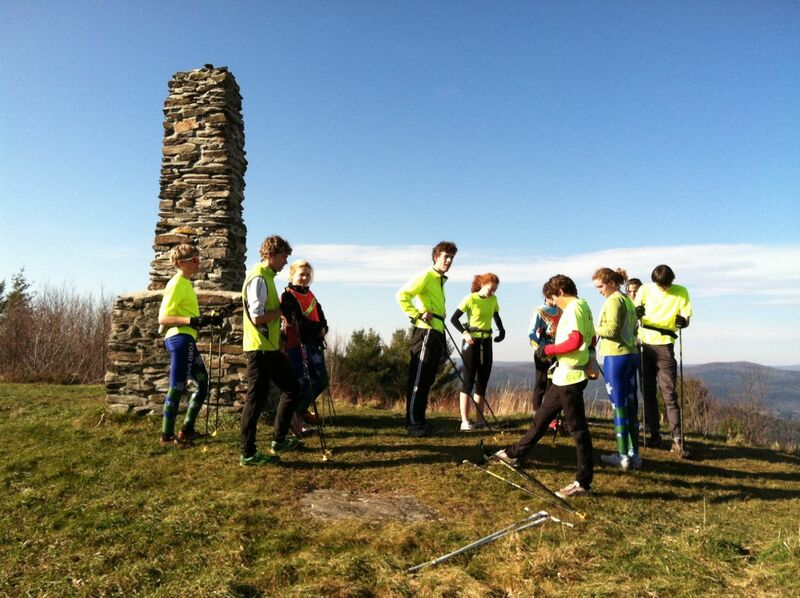 changed into running shoes and grabbed poles to ski walk/stride up through the Lyme hills to the top of Pinnacle. We all finally regrouped to summit Pinnacle on a beautiful, clear New England day. After dashing down Pinnacle, the J2s jogged back to Scottie’s for a waxing tutorial. Overall, despite some confusing logistics, the team had a good time while getting a quality 2.5 hrs of L1!! Hopefully this OD was the last one on foot this season!